Details on From Software's newly announced game. PC Gamer has gone up with impressions from the E3 2018 behind closed doors demo of Sekiro: Shadows Die Twice, the newly announced From Software title published by Activision, which provides new information about the next big game from the creators of Dark Souls. 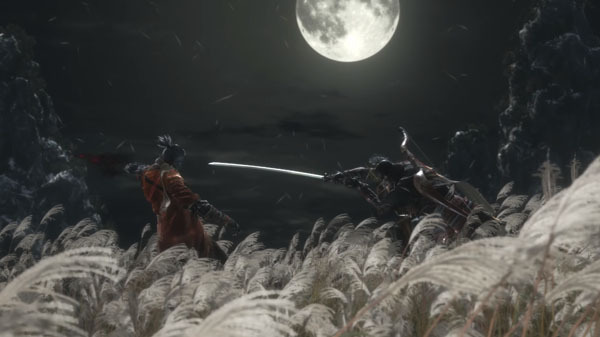 Sekiro: Shadows Die Twice is set in a reimagining of 1500s Sengoku era Japan. You play as an unnamed shinobi, tasked with protecting a young lord of mystical lineage, who is left for dead when a powerful samurai attacks and chops off his arm. Sekiro: Shadows Die Twice is due out for PlayStation 4, Xbox One, and PC in early 2019.